Imagine that you are part of a surgical team (perhaps you actually are) that is waiting on a very important package from another hospital in the city. 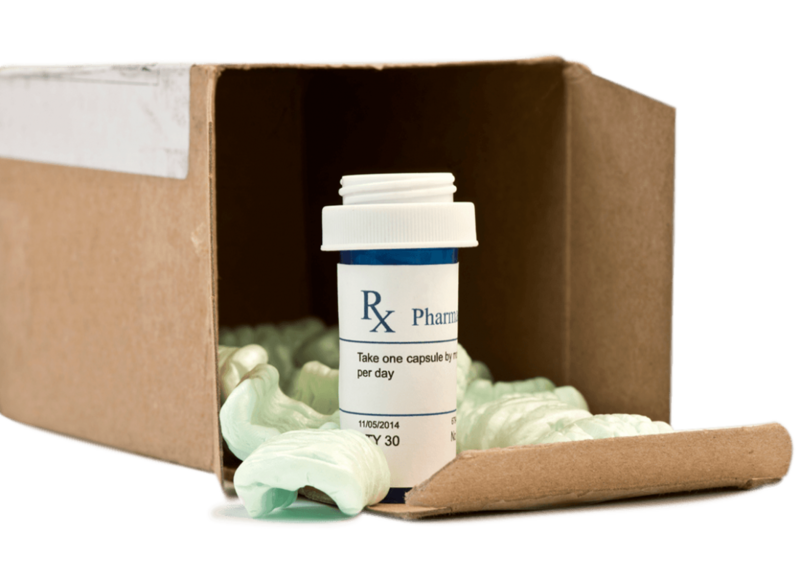 This package just happens to be a lung from a donor that needs to be delivered in a timely manner in order to ensure its preservation and viability for the patient who will receive the transplant. Not only does the success of the operation depend on the skill of doctors, nurses and other medical staff, but the ability of the medical courier to deliver the organ safely and track the package accurately so that the medical teams on the other end can be ready. This type of tracking is even more prominent when the operation is critical to the survival of the patient. Now consider another situation: a sample of tissue taken from a patient’s tumor needs to be tested to determine if it is benign or cancerous, but requires transport to a medical lab in a nearby city. The driver would ideally be able to provide the tracked location to the lab. It is imperative that the specimen arrives at its destination in a timely fashion so that they can test it, determine the results, and send those results to the hospital in order for the medical staff to proceed with what needs to be done next for the patient. In addition to delivering different types of tissues between hospitals and labs, ShipTrack is tremendously useful for transporting and tracking medical equipment such as mobility products, bathroom safety equipment, defibrillators, diagnostic instruments and plenty more. Of course, this type of equipment requires a lot of attention-to-detail and special care. ShipTrack can take away the stress of tracking packages that hold such a high level of importance. How do you Track your Package? As you can imagine, in all cases, there would be severe implications if the shipments didn’t arrive to their intended destinations. So what type of package tracker system does a medical overnight courier need in order to deliver items on time? Several things: a proper transportation vehicle, equipment to keep organs, tissues and blood at optimal temperatures, and the right track a package app. The end-to-end visibility that ShipTrack provides allows medical professionals access to essential information to track packages right down to which desk it has arrived on. With automatic waybill tracking, and complete proof of delivery and electronic record storage, important package deliveries now have the protection they need for both the sender and the receiver. For example, if unforeseen circumstances cause your shipments to be delayed, you can rely on the ShipTrack comprehensive cloud system to provide you with information about where it is in the chain of custody (who has possession of the package at any point in time). In addition to this, couriers are able to take and upload photos which can be viewed by the receiver on the other end. Equipped with this key piece of information, it becomes easy for receivers to decide the next course of action. In the case of the tumor tissue, without a proper package tracking system (and as a result, the report from the medical lab) a doctor can only guess which treatment the patient requires, or if they need treatment at all. This can potentially waste a lot of time and money for the hospital staff and the patient and their loved ones; not to mention the associated stress and anxiety that comes along with a situation like this. ShipTrack eliminates the limitations of traditional shipping models, an improvement that has far-reaching positive consequences. It goes beyond just saving time and money and tracking packages; it is about saving lives.